Many are busy finalizing and filing their income tax returns. Property owners need to calculate all in comes from houses owned by them. Under the Income Tax Act, in case a person owns a property, he is liable to tax even if no rental income is actually received from it. There is a `deemed income' assumed to accrue from such properties and this income is subject to tax. During the course of the year, a property owner in curs expenditures on the properties. These include insurance costs, interest on home loan, municipal tax, maintenance charges on different accounts, power water charges, repair’s charges, and collection charges and so on. A common question asked is whether one can claim a deduction against these expenses under the Income Tax Act. Property owners are required to pay municipal tax on the properties to the civic agency. These are allowed to be deducted while calculating `Income from House Property'. The actual amount of such tax can be claimed as a deduction. This tax can be levied by any local authority on the house property. To qualify for the deduction, it should be noted that the tax should have been actually paid during the previous year. This is against the repairs and collection charges. The actual expenditure incurred on repairs and towards maintenance of the property is not allowed. The Income Tax Act allows 30 percent of the Net Annual Value (value arrived at after deducting the municipal tax from the Gross Annual Value) as repairs and maintenance expenditure. The Gross Annual Value is the highest of rent received or receivable, fair market value or municipal valuation. If, however, the Rent Control Act is applicable, the Gross Annual Value is the standard rent or rent received, whichever is higher. A deduction is allowed on this value even if no money has been spent on repairs. In case the amount spent is more than this figure, then also the deduction is restricted to 30 percent of the Net Annual Value and the additional amount spent is not allowed to be deducted. Also, in case the cost of repairs is borne by a tenant, this deduction is not allowed to the owner of the property. This is by far the most significant deduction allowed under the Income Tax Act. You can claim a deduction against the interest paid on the amount borrowed for the purchase, construction, repair or reconstruction of a house. This deduction is allowed even in case of a self-occupied property. In case the property is self-occupied, the deduction is to the extent of Rs 2 lakhs per annum. However, in case the property is rented out, the entire interest paid is allowed as a deduction. This deduction is allowed on accrual basis. That is, it is allowed even if the interest amount is not actually paid during the year. The interest paid during the pre-construction or acquisition period will be allowed as a deduction in five successive financial years starting from the financial year in which the construction or acquisition of the property was completed. Decorating your home with crystal is fad these days. A simple crystal piece can offset a living space with its stylish demeanour. Today, crystals are one of the most favoured decorative accessories for urban home decor. They add to the elegance of your contemporary home interiors and display your refined sense of style. Whether it is adding an artwork of crystal flowers or figurines to the display case in your living room, or placing a chandelier on the ceiling, crystals never fail to make a glamorous style statement. Crystal pieces and collectibles are suitable for any type of decor. If you have a liking for small pieces of crystals, then opt for a crystal vase on the centre table or an array of crystal tableware and stemware. Crystal is best seen in miniature sculptures and figurines that can enhance a desktop or display cabinet. There is a wide array of bird, animal and flowers of paradise figurines that create the perfect balance of aristocratic class and contemporary chic. While planning a crystal collection, decide on which areas you would like enhanced like the living room or dining room. Low tables, coffee and side tables can be given an element of luxury with delicate works of crystal like bowls, boxes and vases. If you wish to add warmth and personalize the space, then crystal photo frames showcasing some of your most favorite moments are ideal. Candle holders and table clocks are other classic pieces for the home. Have variety in your collection. Exquisite crystal flute or cognac glasses are a must to fine dining to impress guests. A crystal fruit bowl and a set of plates and quarter plates would complete the perfect setting. Consider a crystal photo frame to display a moment in companionship or joy. You have a large number of designs available in most interiors stores in the city. From table decors to desk accessories, crystals find a chic corner in every elegant room. Office or desk accessories like crystal pen holders and paper weights add a classy look to the work space. Proper display of crystal particularly of miniatures, figurines and smaller items is necessary. A well-lit display cabinet is a must or else all your beautiful pieces will be lost in the crowd. Depending on the size of the collection, wall mounted or standalone cabinets can be used for display. If there are just few of them, an open wall shelf, niche or a side table will be perfect to showcase them. Since display and lighting go hand in hand, see that your crystal collection gets the best of light. Usually, there are inbuilt lights in display cases. To highlight a wall shelf or niche, track lighting or spot lights will be excellent. Wall fixtures too can benefit with this kind of usage wherein the crystals will catch the light and add shine to the decor. One can also hang an oversized crystal drop from the centre of the chandelier and watch it transform the place. The gardening world, in the past few years, has changed immensely. This is particularly true for urban spaces today, as people are looking for alternative sources for their food. One such method that homeowners are resorting to is urban gardening, which offers to make our food as 'local' as possible. Within urban gardening, there have been several methods that have sprung up - and they don't necessarily need to be planted in the ground. One such method is 'square foot gardening', which is a perfect way to add a bit of green to your home without spending too much or putting in too much effort. It is an easy, minimal work, low-weed and chemical-free way to grow plants in a small area. As a result, it makes for an ideal gardening option in urban or suburban areas where space is a major constraint. Developed by Mel Bartholomew in the late 1970s, square foot gardening was his solution to the belief that the conventional gardening system of planting in rows was a waste of time and space. This method continues to be a popular form of gardening today as it's easy to manage and produces high yields of quality food. If you are wondering why, it is primarily because one can produce a greater number of produce in less space with less work. So, what does it entail? Unlike regular gardening, the plants are arranged in blocks of squares instead of rows. Each block, which is small square sections, contains a different vegetable, herb or flower. It is essentially a 12"X12" square with a grid that is divided into nine squares with equal lengths of four feet on each side. As a result, one can bring in a lot of diversity in their box by bringing in different plants together. All of this makes it easy for a gardener, especially someone who is just beginning. Bringing this form of gardening to Bengaluru is Squarefoot Farmers. Started by Vishwas Makam, Arun Gundmi and Ritesh Nahar, the Bengaluru-based firm aimed "to do something nice and also make it economically sustainable". They set up food gardens, edible landscaping and at times, a mix of both in their clients' gardens. However, their focus is on setting up small gardens that are organic in nature, which are customised according to the needs of the customers. "We started out spreading the knowledge we had about growing food to interested people. One thing led to another and we started setting up small gardens," says Vishwas. Additionally, they focus on bringing to their customers a holistic, natural and organic solution. What makes the square foot gardening more unique is the fact that you can have complete control over it. As gardening is often thought to be labour intensive, many people tend to shy away from doing it themselves. However, square foot farming is quite the opposite and setting up one is quite simple. It can be set up using a simple wooden frame or as a more elaborate vertical garden. It can be designed using any material available (such as wood and concrete) that can hold the soil above ground. Square foot Farmers offer boxes that are made out of repressed coir and pine. The rationale of keeping it above the ground is that by using potting soil instead of dirt, one will enjoy the benefits of having perfect soil conditions from day one, making it less labour-intensive. "As a result, it makes it easier to do the growing in balconies or terraces," elaborates Vishwas. However, if you are using wood, it's important to stay clear of pressure-treated wood, as the arsenic and other chemicals can leach into your beds and your vegetables. Today, many people are beginning to realise the importance of clean, good food and want to start a garden in their terrace and/or backyard. "Shifting to square foot farming has been really convenient as I was keen on growing vegetables that I use on a day-to-day basis," says Sheila Gupta, a resident of Jayanagar, who was looking to expand her garden when she came across Squarefoot farmers. With their help she has set up around 20 square foot gardens, placed at convenient heights, growing a variety of greens and microgreens mostly. What makes such a garden unique is the fact that it is easy to maintain, easy to keep pest-free and fetches different vegetables at every harvest which is apt for small, nuclear families in urban spaces. "When you understand what you really want, the whole process becomes rather simple and helpful in the long term. I would advise everyone to grow at least greens as they last much longer than the ones you may get at the store," suggests Sheila. Square foot Farmers also hold periodic workshops, which enable one with self-sustainable methods of composting and offer a wide array of flowering and edible seeds as well. But if you are still wary about giving it a try, wondering how different it could be from regular gardening, the answer is simple. It differs with respect to its soil medium, alignment, and is mostly done above the ground. The soil medium consists of vermiculite, cocopeat and compost, which makes the garden very friable as it can hold high amounts of water and is nutrient rich. While this concept has picked up very well among many urban dwellers, the fact remains that the plants need regular watering and maintenance. This can prove to be difficult for those who frequently travel. "However, there are a lot of equipment that help automate gardening today," says Vishwas. To ensure that these are maintained well, it is important to have the ideal space to help the gardens thrive. Such a space would get ample sunlight (at least five to seven hours of direct sunlight) and should also be away from tree roots and shadows, and should let water flow easily. If sunlight is less, the plant selection becomes a narrower process. One can plant anything that they want to. However, seasons play a crucial role in what can be grown when. For example, vegetables like carrots and cauliflowers can only be grown during the winter season. Bengaluru's weather, however, makes it convenient to grow most of the vegetables through the year. Outdoor terraces are the most ideal in urban spaces. Maintenance-wise, there is much to be kept in mind, particularly if you are looking to grow organically. "Regular sprays of neem, sour curd and cow urine needs to be administered to keep the plants immune from diseases and keep the pests at bay," advises Vishwas. "This will help in maintaining the plant's overall growth and health." What can also help maintain the plants' health is ensuring that there are no pests behind its leaves and that they have good compost, which is key for growing in small spaces. Having good compost would mean good health for the plant as it is their food. All the kitchen waste generated at homes can be composted and be used to enable their growth. However, it is important to start slow before you delve into it completely. "It takes not more than 30 minutes of your weekly time, which is more than enough to produce clean, good food that is fresh and sustainable. Knowing how to grow your food can turn out to be a very valuable asset in the near future," signs off Vishwas. An evergreen building material, stone is widely popular in homes because of its rugged and ageless appeal. Of course, its innate strength also works to be a major advantage. In fact, we all know that large stone blocks are vital for the strong foundation of a building. We can find many buildings whose exterior facade is covered with stone slabs or blocks or tiles. In Bengaluru itself, we can find many such examples. One of the major landmarks of the city, Bangalore Palace which is built on the architectural style of London’s Buckingham palace, is one such building. Another age-old beauty is the General Post Office building, whose exterior is built completely with stones. Even VidhanaSoudha, the heart of the State’s governance, was built using specially selected stones from Chikkaballapur. Residential spaces are also utilising stones these days. Jal Vayu Vihar located at Kammanahalli is a beautiful structure made of stones. Stone, as a building material, is highly durable and can be chiselled into any form or design to suit one’s style of decor. Its rustic appearance and natural texture lend a sense of beauty and lavishness to the buildings. Since stones are rugged, you can expect them to last a lifetime. No amount of rain and shine will do any damage to them. Slates, limestone or the commonly used Cuddapah and Shahabad stones are much preferred. Stones can work beautifully in your home’s interiors too. 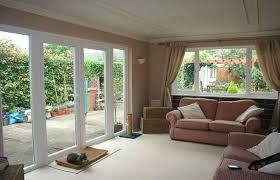 They can be used for the interior walls or certain sections of a room. Cladding all the four walls may not lend a good ambience to the place. If one wall is decorated with stone slabs, the other walls can be in wood or matching colours so as to complement the stone. A living area where there is a provision for a bar section gets an aesthetic look if that part is clad with stones. Stones can also be used on an arch separating two sections of a room or even in a space connecting two rooms. Why, even your dining table can have a stone-clad top for that rustic look. One of the best features of stone is that it can be blended with wood. So, you can include it on the ceiling on a stone-clad wall or on either sides of the wall. The shape and size of the stone used for cladding should be in proportion to the space , only then will it enhance the ambience. If you are unsure about what to use, it’s best to go in for slim rectangular-shaped stones. Want your home decor to be the perfect mix of contemporary and traditional? Go in for stone tiles, decorative stone walls, arches and columns. Slabs are widely used for flooring, thereby giving the place a rustic look when compared to other polished surfaces. For flooring, naturally polished stones are your best bet. They require very less maintenance. Stones also come in handy as display stands, shelves and decorative ledges. For those who don’t fancy a rustic theme at home, stone pebbles can work wonders. Available in varied forms, pebbles can be used both in the interiors and the exteriors. Use these pebbles in cobbled pathways, pergolas and water fountains. Why, pebbles can also be made into wall murals. Using decorative materials made out of pebbles can give an antique look to the entire building. Install simple blocks of stone in the verandah or your garden for seating and watch the space transform into a charming zone instantly. For the porticos, the flooring and walls can be clad with stone slabs with hanging baskets fixed to the walls at appropriate places. Since it is the rainy season, put a tray filled with pebbles right next to the main door for your wet shoes. This way, when you come back home from a downpour, you don’t have to worry about dirtying the entire house. Now is the time to indulge in some beautiful stone decor for the stunning new look of your abode. What's the role of an architect today? The architect today is not only endowed with the responsibility of designing spaces, but also the imagination and innovation of a larger environment that fulfills future aspirations of a rapidly developing, peaceful and healthy society. Architecture, in the contemporary context, stands as one of the most significant disciplines as it is among the saviours of our built environment, social and natural landscape. Today, more than ever before, its significance is in the hope of a future that brings back nature, culture and art into the built environment. In order to respond to the contemporary issues regarding sustainability and smart and intelligent development, architectural designs have moved beyond the design of buildings to involve planning and configuration of larger complexes and urban spaces consisting of buildings, nature, structures and infrastructure. Whether it is residential design, urban design or any other design discipline, the ultimate goal should be to formulate an innovative built environment responding to the needs of the time and society. Architecture today is perceived as a collective response of different design disciplines like interior design, residential design, commercial design, conservation, urban design and urban planning. The need of the design fraternity is to imagine a multi-disciplinary approach towards imagination, innovation, and planning of spaces - whether at a building level or a city level. What's your most memorable project till date? I believe that every project is a reflection of its time, context and environment. Each project is like a journey of rediscovering the significance of space, its function and persona with respect to its requirements. For us, every project is memorable and special as we believe that each of them has allowed us to redefine the role of architecture and architects in shaping the future of our built environment. At present, there is an urgent need for saving our rapidly depleting natural and non-renewable resources - the most important one being energy. The industry is currently experimenting with technologies and designs of buildings and urban environments that save, store and produce energy, and in the same respect, 'zero energy buildings' (which consume zero energy) and 'net positive buildings' (that produce energy) are trends to watch out for. Buildings of tomorrow are gradually being envisioned as urban generators of energy, which would not only save resources, but stand as a hope for sustainability. Architecture and interior design are like two sides of the same coin - both are intertwined in their pursuit of a perfect expression of the built environment. A perfect design should seamlessly blend the two to create continuity in the spatial experience from inside to outside, both aesthetically and functionally. Two of the most inspiring architectural designs for me are Fatehpur Sikri Complex at Agra and the Louvre at Paris. The former is an age-old complex, which I believe is extremely contextual, as it is a magnificent example of a great architecture which simultaneously bears the character of an outstanding urban design. It is a truly inspiring example, which exhibits how good environmental design, space aesthetics, public space design, and art can coalesce into one masterpiece. Fatehpur Sikri, to me, is not only a well-designed complex but a space bearing the cultural heritage of Agra. The Louvre, on the other hand, exhibits how traditional architecture can coexist with a modern masterpiece in harmony. The glass pyramid is a modern intervention, which has immortalised the historical context on which it stands. What makes for an iconic design? An iconic design must stand out and ideally become a flag-bearer of a new trend or an idea. It must go beyond its own age into the future and exhibit a significance that has not been previously explored and hence, show a new direction in the field of design and technology. Essentially, iconic architecture should involve innovation of aesthetic statements, technology or ideas about a better environment and society. Today there is a need to look at avenues which embrace our cultural continuity even though we may cruise ahead in technology and global economy. Our cultural symbols, which have been preserved as activities, rituals and faith in different corners of India, deserve to be conserved and must find their rightful expression in our future built environment. There is a long unfinished responsibility of defining 'Indianness' in global modernism through aesthetics, functions and technology, which still remains a major challenge for all Indian architects. We need to search hard for the signs and symbols that have identified our land and us for ages; methods are needed to be innovated to translate these symbols and messages into architectural vocabulary. We believe that the search for global Indian modernism will be a great pursuit for our future generation that would collectively require the contribution of conservationists, urban planners, urban designers, geographers, historians and anthropologists in defining a future development that would simultaneously act as a tool to conserve our cultures and our identities. How does one select the right architect? The same way one selects a doctor or a lawyer. The most important thing is the comfort factor; the architect must be able to understand and respond efficiently to the aspirations of the client. The architect's past body of work, approach towards architectural design, time commitment, number of current assignments and the ability to respond to contemporary socio-economic conditions and aesthetic trends in design are some other factors worth considering. Bengaluru has historically enjoyed an amazing natural geography, climate and a beautiful terrain with immense greenery. The city became an important business hub during the economic liberalisation of the country in the nineties. Unfortunately, the aspirations and the development envisioned could not be efficiently contained in the broader planning model, which has put a huge pressure on the incongruous urbanisation of Bengaluru today. Both built and natural infrastructures are being stressed and are seen to be struggling to match the rapid growth of the city. This calls for an urgent need for a holistic vision of sustainable urbanisation. Investors in the Indian equity markets have been swinging between wild optimism and quiet pessimism since 2012. Many attribute the lacklustre performance of the markets to the lack of fast-paced structural reforms or a deeper cut in interest rates. The real culprit, however, is the lack of earnings growth. Persistent single-digit earnings growth clearly indicates that corporate profits do not back early market optimism. The inordinate delay in cyclical catch-up should concern investors. The turnaround of a bear market into a bull market is typically led by a fall in interest rates. This provides immediate relief to businesses burdened by borrowings and inventory . Then the operating margins improve, riding on lower input costs and operating leverage, as capacity utilisation increases. Soon, businesses are in a position to post a growth in revenue and expand volume and value of sales, as demand picks up. With sustained demand, businesses become con fident about making further capital investments, and the bull cycle is complete. The main shocker in the past three years has been the failure of earnings to match up. Estimating earnings is a dangerous game, and in each of the last 12 quarters, analysts have rued that earnings have missed estimates, or the downgrade cycle of earnings has persisted.The single-digit earnings growth that we have seen for Indian equity is unprecedented and unexpected at what seemed to be a turn of the economic cycle. A chunk of the equity markets is in structural distress. While oil and metals suffer from the downturn in commodity prices, banks are going through the pain of balance sheet restructuring. Infra and capital goods have been hit by lack of investments, and export-led businesses have been impacted by slow global economy . Auto, consumer durable and real estate face lack of demand. The absence of investment is damaging, and the low rate of growth in bank credit implies businesses are not expanding. This structural logjam is holding the markets back. A very frequently cited explanation about the poor earnings story is that it could be a `one-time extraordinary event'. This term refers to a charge in income that is large and negatively impact, but not expected to persist. Discussions about balance sheets of banks are rife with such comments. Is the stress in the banking system just an accounting and reporting problem, or is there a serious structural limitation to quality of earnings? It is dangerous to show bravado about a turnaround in earnings, when what is touted as `extraordinary' is only the beginning of a long rework. There is a lot of optimism about demand revival, with the monsoon being the messiah. This time we also have the Seventh Pay Commission. The idea is that if the rainfall is normal, the purchasing power of rural masses will return. Add to this the purchasing power in the hands of government employees, who will use their higher salaries to buy stuff, and we should see a revival in demand for goods and services. Those looking at sectors such as real estate, consumer durables and automobiles are enthused by this revival. Let's consider one real estate to see how this might be an overly optimistic argument. The real estate market in India boomed due to the runaway optimism of the early 2000s, and struggled to keep up after the global financial crisis. After a period of bravado, the reality of large unsold stocks has become stark. That's why the sector is at the forefront of lobbying for lower interest rates. However, neither a low interest rate nor a pickup in demand would help. What the sector needs is a steep drop in prices, a correction that vested interest of partly completed projects will not allow, leading to a structural logjam. Another fallacy is that of valuation. Every time an earnings forecast goes wrong, enthusiasts point to how the markets have become cheaper. They declare that at 16 times forecast earnings, the Indian markets are so much more attractive than in the past. Price-earnings ratios have never been about the price-they are about earnings alone, and that the stubborn denominator should justify the wild gyrations of the numerator. Falling PE multiples in a market that screams turnaround should sound alarm bells about earnings not matching up. The lack of revival in earnings points to serious structural and qualitative problems in corporate and banking balance sheets, and sector-level and company-level differences in performance. The focus for the equity investor should be on the micro-level selection of busi nesses that show relatively better quality, with sturdy models that have stood the test of time; businesses that have been conservative and consistent; and businesses that are not burdened with debt and are therefore able to capture any revival in demand. Instead of being blindly optimistic about a revival in earnings and domestic consumption demand taking care of everything, it would be wise to acknowledge that these are times for good old-fashioned hard work around stock selection and hard-nosed fundamental analysis. Builder not approved: Not all banks fund loans for properties of all builders. It is critical to understand from the builders which banks have approved them and which have not, as it's possible that when you have decided to buy a property and go back to your banker and check, you realize that the builder is not approved with your banker making it impossible for you to get a home loan on the same from your bank and then you would have to go to a different bank. Builder approved but property not approved: This is another unexpected reason in home loan rejection, where a builder may figure in the list of approved builders of the bank, but a specific project launched by the builder may not be approved. 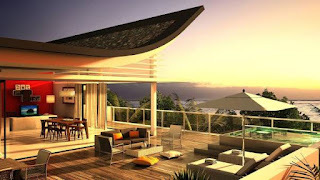 In addition, there are cases where particular phases of the property( if it's a large project) may not be approved by the banker as well, so it's important to check if the builder, the project and even the phase of the project is approved by the banks to avoid unexpected home loan rejections. Credit bureau issues: Most customers do not check their credit scores and are mostly oblivious to the same, there can be some old payments missed by the customers or some past challenges the customer may have had, which they have forgotten about. The same can be adversely affected one's scores, and a poor credit score and performance can lead to rejection of home loans. It's very important that customer regularly check credit scores and fix issues if any, around poor credit history immediately. Valuations related rejections: Imagine a scenario where one is buying a house from the resale market. The buyer and seller mutually decide a price of the property and the buyer decides to go for a home loan to fund the purchase. 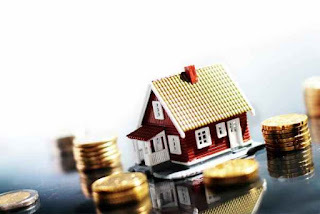 At the time of sanctioning the home loan, the bank would fund the loan basis the valuation of the property as ascertained by them rather than the price decided by the buyer and the seller. If the valuation amount is higher than the mutually decided price then there is no issue, however, if the value is lower, then the bank may choose to give a lower loan amount than required, or may reject the home loan application as well. Legal check rejections: The bank does a detailed check on the property before giving a home loan which goes far beyond just ownership related legal checks that most buyers of property focus on. The bank checks on encumbrances, property documents, sanction plans, construction plans, government body checks and clearances and tax paid receipts, among others, along with ownership checks. These are mostly not carried out by buyers in a mutual agreement between the buyer and seller, and can lead to home loans on these properties getting rejected, if the bank does not feel comfortable basis these documents. It's extremely critical for buyers to try to do an elaborate check on the property before applying for a home loan on the same. Consumers who look for home loans should understand the importance of the product, as most people take this as once in their lifetime and pay the loan for nearly 20 odd years of their life. In such scenario, it is critical to cover all bases from all angles to ensure that the home loan process happens smoothly. In Bangalore a complaint has been filed by the residents of Ozone Evergreens apartment complex located at Haralur Road near Sarjapur Road with the Adugodi police. The complaint is against the builders – Ozone Shelters Pvt.Ltd- and alleges that the residents were mislead by the company by furnishing a fake no objection certificate (NOC) number of the Bangalore Water Supply and Sewerage Board (BWSSB) and assuring them of Cauvery water supply. The Ozone Evergreens is a 18 floor apartment with eight blocks. The residents have alleged that in 2011 the builder collected Rs.one lakh from each of the 900 residents amounting to Rs.Nine crores, to get NoC from the BWSSB for getting Cauvery water supply to the apartment blocks. After a resident filed an RTI application to find out the details of NoC issued by BWSSB, it has come to light that the board has not issued any certificate under the number provided by the builder and the builder has not paid a single rupee to the Water Board in this regard. The area where the Ozone Evergreens apartment complex is located is newly added to the Bruhat Bangalore Mahanagara Palike limits (BBMP). There in no infrastructure in place to provide either water or sanitation facilities. Also, the residents have alleged that the construction was delayed and the builders had refused to pay them compensation for delaying the construction. The officials of the BWSSB have said that they had no information on issuing of NoC to Ozone Evergreens. 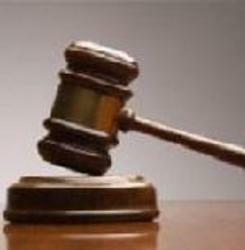 Relief from forum: In the meantime, the district consumer forum has directed the Keystone Constructions and Ozone Shelters Private Limited to pay interest at 10 percent per annum on Rs.24.25 Lakhs for delaying the possession for five months considering it as deficiency in service to a buyer of an apartment from the builder. The compensation was ordered for payment to Raman Singh, a resident of Marathahalli, from September 1, 2011 to January 10,2012. The forum also directed the builder to pay Rs.10,000/- to the complainant as costs. The builder despite collecting money had allegedly could not complete the project within the stipulated time and hand over the apartment to the owner. In Hyderabad and surrounding areas the real estate sector is sluggish for several quarters. The buyers are concerned about the formation of Telangana and are putting off decisions as there is no clarity on how the changes will take place. Even though the cost of construction has spiraled around 25 to 30 percent in the past two years, the capital and rental values have remained the same. Builders are hopeful that on the formation of new government the real estate sector will see uptrend. Prominent players in the field and representatives of real estate bodies are all hoping that a 100 day development agenda will play a role in improving the sentiments of the buyers and the developers. Mr.Sekhar Reddy, president of CREDAI – has said that the scenario in the State and especially Hyderabad is passing through a difficult phase where the prices have remained stagnant and are about half the prices of Chennai. He has further said that the reasons for this situation were uncertainity on the statehood and the agitations. The sentiment in the market will turn positive if the new government sets up a 100-day agenda and address the issues faced by the sector. The president of AP Real Estate Developers Association, has said the sector was stagnant in the past four years because of the agitation for the new state which is now over. Further, the new government will bring in a positive sentiment and encourage people to buy properties in the region. He has further said, the prices may go up by about 15 per cent as they have remained same for too long in spite of increase in input costs. Managing Director of PEBL has said that the people have accepted the formation of Telangana which is a reality, and during the past few months non-local, non- Telugus were looking for properties. He has said the locals will also get back to the buying mode after the formation of the new government. The realty sector players say that this is the right time to buy the properties as it is still a buyers’market. They feel the situation may not last long as the property prices in Seemandhra region are seeing an increase in property prices. The players are seeing an upswing as there will be lot of construction activities as new infrastructure is to be created for the new State capital. Reports show that the property prices in Vijayawada – Guntur, are beginning to firm up where the capital of Seemandhra is expected to come up, are beginning to firm up. Indeed there is every need that great care has to be taken by the Purchaser of a Property to ensure that the Sale Deed executed in his/her favour is correct in all respects; and that there is no mistake or error whatsoever in the said document which conveys the right, title and all privileges in absolute terms. 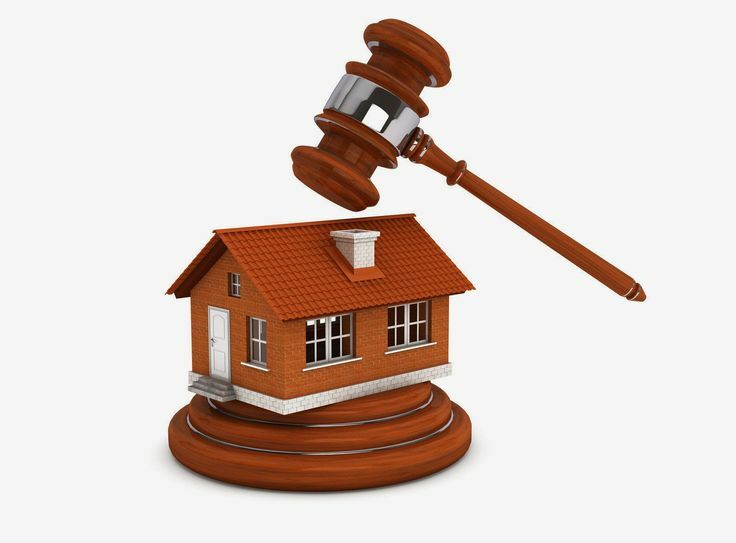 In order to ensure that the Sale Deed executed and got registered in his/her or their favour, the Purchaser of the property should get the document vetted thoroughly and take every step to get the error/s or mistake/s, if any, crept in, are rectified and confirm the Purchaser's title over the said property. Normally, it is observed that many a time some sort of document supplementing the main absolute sale deed, or mortgage deed etc., is required to be executed in order to remove the defect occurred while executing and/or registering the main document or to correct mistake crept in. In such event, the necessity of CONFIRMATION DEED arises. The strict meaning of the term “Confirmation ” is the approbation of or assent to an estate already created by which the confirmer strengthens and gives validity to such estate so far as it is in his power. Confirmation can take place by three ways: (1) by a Deed; (2) by acquiescence or (3) by limitation. 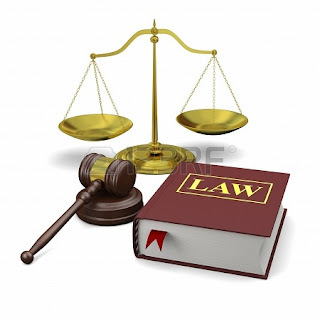 The latter two are confirmation in law and the first one is confirmation by a deed. There are two types of Confirmation Deeds. One is a Deed of Confirmation whereby a person confirms or gives his assent to a document of transfer executed by another person, where the former has not been made a confirming party to the main document of transfer either through oversight or for some other reasons. The second type of Confirmation deed document is executed when a party to a document has made some mistake in signing the main document or has failed to admit execution before the Sub Registrar within the prescribed time and the Sub Registrar has refused to register the document so far as the defaulting party is concerned or in some other respect. 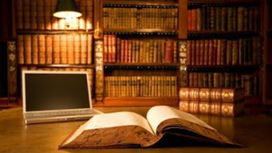 Usually, the need for execution of second type of confirmation deed will frequently occur. It is very common that for one reason or the other a party executes a deed and when it is later on lodged for registration, fails to appear before the Sub Registrar in time and as a result whereof the Sub Registrar refuses to register the deed so far as he is concerned. In such a case to remove the defect, a Confirmation Deed is executed by such a party whereby he confirms the execution of the main deed and confirms the main deed as valid and binding upon him and if he is the transfer-or or one of the transfers he also confirms that he claims no right, title and interest in the property and the same would belong to the transference. 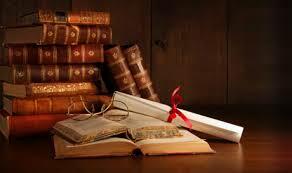 Copy of the main deed is to be attached with the Confirmation Deed and it is desirable to have the copy signed by him. How far such a document cures the defect is not very clear but this is the way the mistake can be rectified as it would not be possible to execute a fresh deed and pay fresh stamp duty and registration charges. In any event it appears that such a document would act as a promissory estoppel against the party. Section 66 of the (English) Law of Property act, 1925 provides that “ a deed containing a declaration by the estate owner that his estate shall go and devolve in such a manner as may be requisite for confirming any interests intended to affect his estate and capable under this Act, of subsisting as legal estates which, at some prior date were expressed to have been transferred or created, and any dealings therewith which would have been legal, if those interests had been legally and validly transferred or created, shall, to the extent of the estate of the estate owner, but without prejudice to the restrictions imposed by this Act in the case of mortgages, operate to give legal effect to the interests so expressed to have been transferred or created and to the subsequent dealings aforesaid. Even though there is no such specific provision in any of the Statute in our Country, yet such a document will have legal effect by way of estoppel or admission. Section 17(1) of the Registration Act also recognizes the Confirmation Deed as it provides that any document confirming any interest in an immoveable property requires registration. Such a document will only attract stamp duty as on agreement under article 5 (h) of the Stamp Act and should be registered, irrespective of whether the main document is registered or is to be registered. • Confirmation Deed by the Vendor, whenever the Vendor has failed to appear before the Sub Registrar to admit the execution by him of the said Deed within the prescribed period. • Confirmation deed of Sale by Trustees, whenever the Trustees, before the beneficiaries of the trust attaining the age of 21 years sell the land and premises to some others and execute a sale deed, without having any authority to do so under the said Deed of Trust and without obtaining leave of a Competent Court to do so. • Confirmation Deed by Lessor of assignment, whenever the Lessor of Assignment without taking the prior consent of the Lessor of the Lease Deed assigns the demised premises comprised in the said Lease Deed in favour of the Assignee and when the Lessor of the Lease Deed has become entitled to terminate the said Lease deed. • Confirmation deed by a trustee of Lease granted by other Trustees, whenever the Deed of settlement is executed by the Settlor in favour of the Trustees and when both the parties referred to in the said Deed of Settlement are the Trustees of the other part, thereby the said Deed of lease executed by the later part of the Deed of settlement under mistaken advice and when the Lessee demands the execution of confirmation deed by the remaining trustee in order to confirm the said lease deed. • Confirmation Deed of a Sale deed with a wrong schedule. • Confirmation Deed and transferer by a benamidar in favour of the Real owner. • Confirmation Deed by owner of conveyance by Attorney. • Confirmation Deed by HUF members. If you have just retired and are looking to deploy the retirement money, the simplest option may seem like bank fixed deposits. However, you may miss out on other superior options available to build a diversified retirement income portfolio that also returns well. Here is a low down on your options and the suitability of each such option, based on your tax slab. At 8.6% per annum (from April 1, 2016, but subject to reset every quarter), this is the best rate that a 60-plus investor can get in the present scenario. One, the post office interest rate will likely remain higher than bank interest rates. Two, the quarterly interest payout gives you the needed income flow. Three, it is eligible for deduction under Section 80C of the Income Tax Act, in case you fall under tax bracket and want to avail deduction. In fact, in the year of your retirement, when you still remain in the high tax bracket, this can be an ideal 80C investment option. Four, in later years, although the interest is fully taxable, given that you will fall under lower tax brackets, than in your earning years, the post-tax returns won't be terrible. Five and very importantly, it is sovereign guaranteed. Remember, even bank deposits (and your savings account together) carry insurance and only up to Rs 1 lakh. The only drawback is that there is limit of Rs 15 lakh that you can invest (across all accounts, individually or jointly) at any point. Besides, TDS will be deducted for all interest payouts exceeding Rs 10,000 a year (similar to bank). Hence, make sure Form 15H is submitted if you are below the taxable limit for senior citizens. It is suitable for all retired investors across tax brackets. It remains an ideal investment option in the year of retirement, especially to avail Section 80C tax benefit. If not for anything else, the relationship that you have with your bank and the services that you will avail there, especially as a senior citizen, will entail that you park some money in bank deposits. While you will enjoy special rates for senior Citizens, this is certainly not the best time to lock a majority of your funds in banks. The interest is taxable at your slab rate. Here again, submit your Form 15H to avoid TDS if you are not within the taxable limit. Bank FDs are a good option to diversify. They are better if you are not a tax payer. If you are one, ensure you keep your exposure to this avenue limited in a low interest rate scenario such as the present one. Do not scout for high returns in this space. Go for two to three well-known NBFCs, which are also governed by RBI to ensure you park your money in safe avenues. As the interest rate is likely to be higher than bank FDs, this is a must have for diversification purposes. While interest rates have fallen in this segment as well, they still remain higher than bank deposit rates. Good diversification option for investors who are not in the tax ambit and are in the low tax bracket. For those in the high tax bracket, the post tax returns will not keep pace with cost of living, especially medical expenses. Even before football fans recovered from the news that Lionel Messi will no longer play for Argentina, they were in for another shock. The Spanish tax department sentenced Messi and his father Jorge Horacio to 21 months in prison apart from fining them a few million Euros for tax fraud. It appears that both avoided Spanish income tax on his image rights by using shell companies in various countries. However, both may not have to spend time in prison since, as per Spanish law, prison sentences below two years are suspended - meaning they can be served anywhere including on a football field. It is apparent that the sentence was given for 21 months only to ensure that this benefit is availed. Sports stars being penalised by the tax office is not a new phenomenon - Maria Sharapova and her father had their share of tiff with the tax department. Tax jurisdictions abroad may not arrest popular stars but they will not stop shy of naming and shaming them. This leads one to think aloud as to what would the tax office in India do with tax defaulters? Sports stars in India may have the money but not the intention to defraud the tax office. Recently, there were reports of some arrests by the tax department but they were quickly denied. As with many things in India, the truth will never be known. A strategy paper prepared by the department has some news in store for tax defaulters. In order to cripple and check (strong words these!) the activities of tax defaulters, the Income Tax Department has decided to block the Permanent Account Number (PAN) of such entities, get their LPG subsidy cancelled and take measures to ensure that they are not sanctioned loans. The taxman will block PAN in such a way that these defaulters are not sanctioned any loans or overdraft facility by public sector banks, as the same is bound to become non-performing assets. With the objective of disincentivising the defaulters, it would recommend that the LPG subsidy which is directly credited to the bank accounts of the said defaulters be annulled. The taxman also proposes that the identities of such blocked PANs be circulated to the Registrar of Properties with a request not to allow any registration of immovable properties where such PANs are involved. Such defaulters' information has also been recommended to be circulated across tax offices so that their activities, loans or government subsidy can be plugged countrywide. The department has also decided to subscribe to the Credit Information Bureau Limited (Cibil) data to check out the financial activities of defaulters and undertake action against them for recovery and freezing of assets. The department, beginning last year, also started to "name and shame" large tax defaulters by publishing their names and other credentials in leading national dailies and on its official web portal. Beginning this financial year, it has decided to publicly name all categories of taxpayers who have a default of Rs 1 crore and above. While all these strategies are bound to draw attention, whether the tax department can curb the fundamental rights of a taxpayer to seek loans/LPG subsidy is a basic question that is bound to land up in the courts. Amidst all this, an Income Declaration Scheme (IDS) is operational with effect from June 1, 2016. The government has been going on a marketing blitz in an attempt to get people to embrace the scheme. Sets of Frequently Asked Questions (FAQs) have been issued and IDS also found a mention during the prime minister's "Mann ki Baat" airing. The scheme will run for four months. The declared income and related assets will be taxed at an effective rate of 45%. The undisclosed sum can be held either in the form of assets or in any other form. If the taxpayer is holding undisclosed income in the form of an asset, the market value of the asset as on June 1 shall be used to compute the sum of undisclosed income. It has also promised that those declaring undisclosed income or assets would not be subject to further enquiry or scrutiny. If our friendly neighborhood tax office discovers any undisclosed income or assets after the scheme closes, the offender can be assured of a tough time. The IDS scheme may, at best, meet with a lukewarm response because of the high rate of tax at 45% and also the need to pay tax on assets at market value as on June 1. One of the examples given in the FAQs illustrates that tax will have to be paid on cash remaining on hand out of the undisclosed income - a concept unheard of by the Indian tax payer and which will certainly make him wary of going for the scheme. At best, the tax office should get some limited comfort that those who declare any income/assets under this scheme will not be able to short-change them again. It is possible that the scheme may be extended beyond October but the response would increase only if a few sweeteners (such as a tax rate that gives comfort) are thrown in. Over the years, the Indian taxpayer in general and the defaulting one in particular, has become a war veteran in fighting his battles with the department. Unless there is something in the deal for the taxpayer by way of an incentive, he is not going break into a sweat over the moves being proposed by the department or the income declaration scheme. It should not come as a surprise if a person with five undisclosed properties discloses only three under the IDS scheme and keeps the remaining two in stock for the next scheme to be announced in a couple of years.